Directed by Hamid. Produced by Darpan. Iqbal Akhtar. Produced by Begum Ahad Malik. Music: Fateh Ali Khan. Written by Syed Iqbal Hussain Rizvi. Cast: Darpan, Neelo, Husna, Majid, Talish, Nazir. 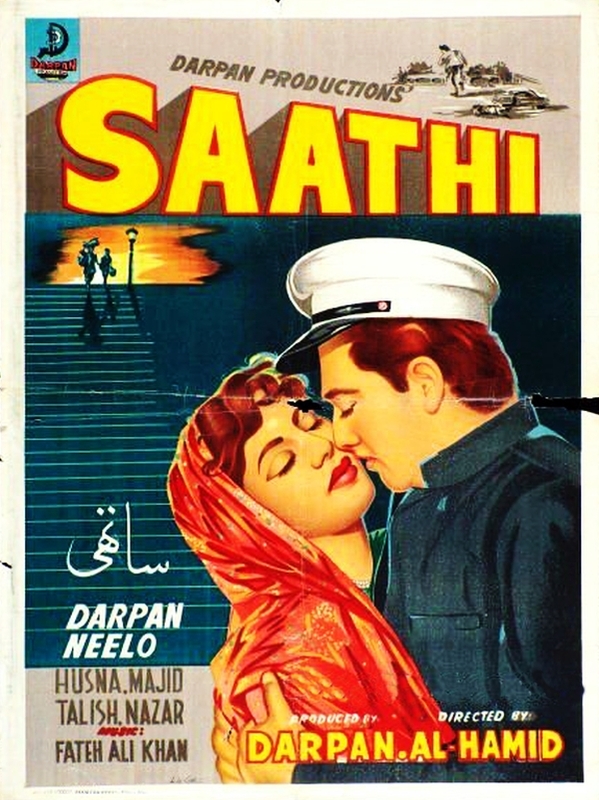 Waheed Murad is said to have done a cameo in Saathi (1959), produced in Lahore by the family friend Darpan. Unfortunately, the available prints of the movie are so bad that faces are hardly recognizible. 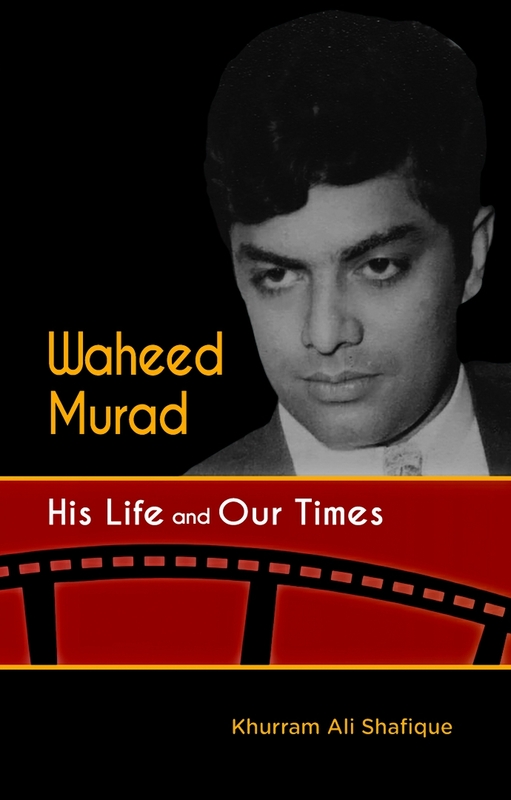 Iqbal Rizvi, who wrote the story and dialogue, and managed most of the production as helping hand, was asked about it in 2014, as part of research for the book Waheed Murad: His Life and Our Times (2015). Rizvi recalled that while the film was being shot in Lahore, Waheed indeed visited the studios in connection with his father's business of film distribution. That is how he took notice of Rizvi and later asked him to write for him. However, Rizvi could not recall any details about the cameo of Waheed after such a long time, and only said that Waheed might have agreed to do it. In the Pakistan Chronicle (Urdu), Aqeel Abbas Jafri writes that Waheed played the character of a motor mechanic, comprising of a single line spoken to Darpan (p.204). There is no such role in the existing print of the movie (but some footage is apparently missing). Jafri has not seen the movie. Instead of a motor mechanic, there is indeed a young machine operator who steps into a shot for a moment just as the character of Darpan is leaving. The face is not recognizable due to the poor quality of the existing print but the figure is not unlike Waheed's. 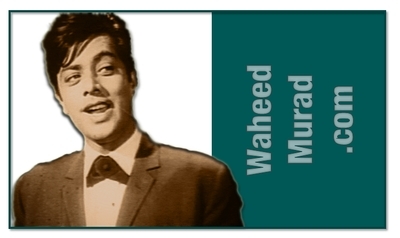 This is not even a minor role but just a cameo appearance, and the first role of Waheed in a movie is known to be the titular role in Aulad (1962).